Language/speech disorders due to progressive neurological disorders such as ALS (Lou Gehrig's disease), Parkinson's disease, multiple sclerosis, muscular dystrophy and others. Ashley Lester earned her Master of Science Degree in Speech Language Pathology from the University of Nebraska, Omaha, in 2010. 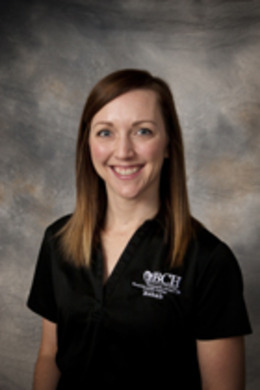 She began working at Beatrice Community Hospital and Health Center in August 2010. She enjoys working with adult patients who have swallowing/dysphagia challenges, and voice rehab. She is Lee Silverman Voice Treatment Certified and has training in Modified Barium Swallows. Ashley grew up near Dallas, Texas, and moved to Nebraska for college. She lives in Lincoln, Nebraska, with her husband, Brandon, and two children, ages 4 and 1, two dogs, and an outside cat. Joe Neri earned his Master’s Degree in Speech and Language Pathology from the University of Central Oklahoma. 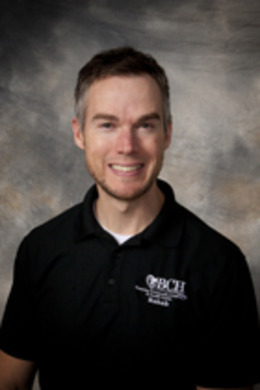 He began working for Beatrice Community Hospital and Health Center in October 2015. He works primarily with pediatric patients. He enjoys spending time with his wife and two daughters, running, and being outdoors.